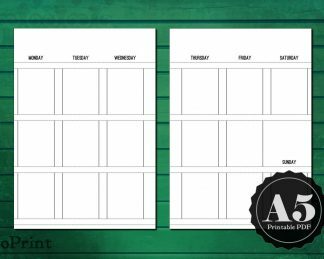 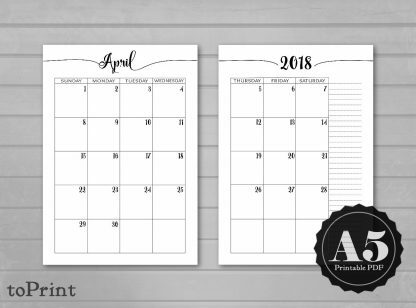 These calligraphic script dated monthly calendar planner spreads are instantly downloadable PDF files which you can print out yourself at home or take to a print shop. 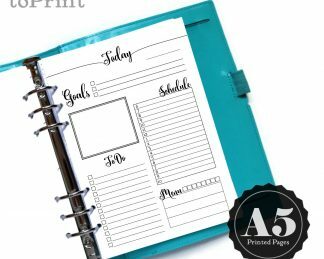 They are A5 sized, with multiple printing options. This listing includes 36 months, from January 2017 to December 2019. 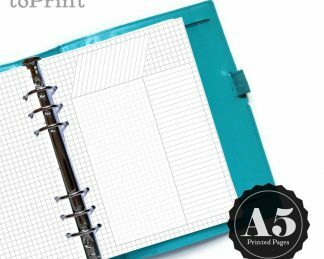 Includes files to print onto US Letter size paper (with trim marks and bleed), or onto paper already cut down to A5 size.